By the end of this year, 69% of all consumer internet traffic will be video content. Customers want more video and businesses are responding with enough to fulfill their appetite. 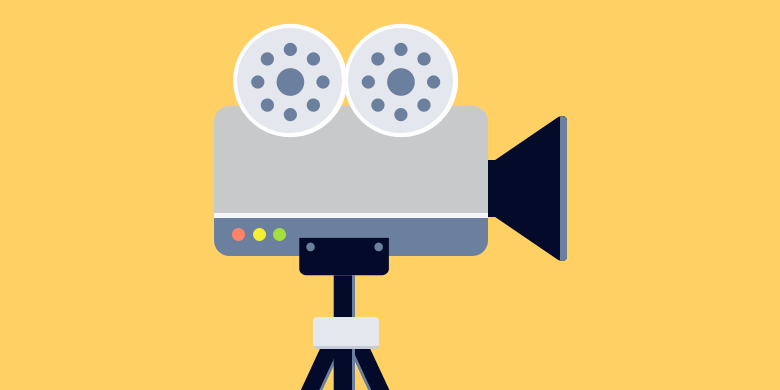 To reach more customers and connect with more prospects across a range of platforms, you should be launching video marketing campaigns. As with most advertising endeavors, it’s easier said than done. Small budgets, little experience, and limited expertise could all be reasons for you to be holding back on creating your own video advertising campaign. That’s why we’ve pulled together some basic steps to get you started quickly and easily. Just as you would with all your other marketing strategies, work with your customer data. Who they are, what they want, and what their pain points are should all be considered when planning to advertise with video. This will help you create videos for each step of the buyer funnel. It will also let you speak to customers in a way that they will understand, remember, and share. Videos for marketing should bring your product to life, humanize your brand, educate your audience, and build trust in your offer. Consider using customer-created content, sharing behind-the-scenes peeks, and saying thanks as ideas for your first video campaigns. Producing video marketing content doesn’t require a multimillion dollar budget. Quality is important, but so is authenticity that resonates with your customer. There are really only two options available for video production. Each depends on what you are trying to achieve and the size of your budget. You or your team develop the videos internally. Get yourself a great HD-quality camera and spend some time researching how to create great video marketing campaigns. You might also want to consider taking a short course that will give you additional insights. Alternately, you can hire a videographer to join your team. Hire an outside agency. This can often be the more expensive option, but remember you’ll get what you pay for. Working with professionals can be the answer for an impactful, one-off video advertisement. However, they could be an expensive, longer-term option. One of the greatest advantages with video ads is that people love to share them, thereby doing a large part of your marketing work for you. Remember Google’s ad from 2015? It was the most shared ad of the whole year because it was short and sentimental. Although the ultimate aim of your video campaign is to sell more, you must avoid being too self-promotional – it will turn viewers off. Try to educate, entertain, and inspire. Stick to the point, and remember what your customers want and how they want it. Provide that in an engaging video format and you’ll reap the rewards. Once you’ve created your video marketing content, you need to release it. YouTube and your own website are obvious places, but Facebook and other social media platforms you are already active on should also be used. Additionally, utilize your email list and disperse the content through there. As long as you verify your email list, subscribers will receive your video and can then share it among their other contacts. Measuring the performance of your video will provide you with the information you need to build a library of useful videos that convert viewers to customers. You should be tracking views, how they are watched, how long they are watched for, and drop-off rates. This data will help you understand what works and what doesn’t, allowing you to build on successes and reap the rewards of an effective video marketing campaign.